DAVIS, Calif. and COALINGA, Calif., Jan. 15, 2019 /PRNewswire/ -- Intrexon Corporation (NASDAQ: XON) ("Intrexon"), a leader in the engineering and industrialization of biology to improve the quality of life and health of the planet, and Next Green Wave Holdings Inc. (CSE:NGW) (OTCQB:NXGWF) ("Next Green Wave") are pleased to announce they have entered into a strategic licensing agreement to utilize Intrexon's Botticelli™ next generation plant propagation platform to enable rapid production of Next Green Wave's proprietary cannabis cultivars for the California market. The collaborative work conducted at Next Green Wave's facilities will also accelerate its vision of becoming a world-class nursery. A production phase in which Next Green Wave may utilize the technology in: (i) the production of cannabis plantlets for its downstream products and (ii) the sale of plantlets to third party producers in California. Intrexon will be entitled to royalties on Next Green Wave's own plantlet usage and the parties will share equally the revenues from third party sales. Intrexon's Botticelli™ platform is an advanced tissue culture technology designed to enable efficient propagation of plants while maintaining genetic purity and product performance. When applied to cannabis, Botticelli™ offers potential for a sustainable, scalable, and more economical solution than conventional clones. In the U.S. market, legal cannabis revenue is projected to exceed $23 billion by 2022, with California representing around a third of that market. Current cannabis cultivation is predominantly dependent on clonal propagation, which creates barriers to meeting product demand and is not sustainable due to risk of disease susceptibility. "We believe Intrexon's next-gen tissue culture approach will enable high volume propagation of cannabis varietals, ensuring product integrity and consistent performance to offer to our customers," commented Mike Jennings, Chief Operations Officer and Head of Research and Innovation of Next Green Wave. "As the cannabis industry continues to mature, we will continue to bring cutting edge partnerships into our Company to ensure we are pushing the innovation envelope amongst our peers. In my many years as a breeder and grower, I have not seen advances with as much potential to be disruptive to plantlet production as the Botticelli™ technology and am looking forward to realizing its potential in collaboration with the talented Intrexon team." "We are pleased to be working with Next Green Wave, a leading cannabis provider with over 20 years' experience in the industry, as our first partner in the cannabis field employing our cutting-edge Botticelli™ plant propagation platform to help meet the growing demand for high quality cannabis products for California consumers," said Sekhar Boddupalli, PhD, President of Intrexon's Ag Biotech Division. "Mike's award-winning achievements in advancing the cannabis industry and his position at the helm of company with some of the most respected breeders and growers in the field make Next Green Wave an ideal collaborator on this program. Their focus on state-of-the art cultivation to provide premium products at low cost is well matched with Intrexon's approach to sustainable plant production." Next Green Wave initially will deploy the Botticelli™ platform within its Coalinga facility for the California market and will be responsible for maintaining appropriate licensure at the facility. Intrexon Corporation (NASDAQ: XON) is Powering the Bioindustrial Revolution with Better DNA™ to create biologically-based products that improve the quality of life and the health of the planet. Intrexon's integrated technology suite provides its partners across diverse markets with industrial-scale design and development of complex biological systems delivering unprecedented control, quality, function, and performance of living cells. We call our synthetic biology approach Better DNA®, and we invite you to discover more at www.dna.com or follow us on Twitter at @Intrexon, on Facebook, and LinkedIn. 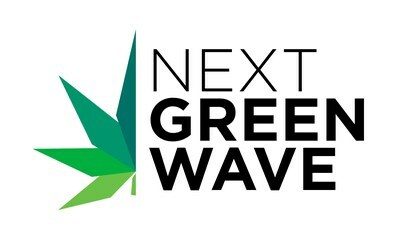 Next Green Wave is a vertically integrated seed-to-consumer premium medicinal and recreational cannabis company operating in California, the world's largest cannabis market. Led by award-winning cannabis industry veteran, Michael Jennings, who is an industry innovator specializing in developing premium cannabis seeds and plants and known throughout the cannabis culture in the state. Next Green Waves' central operations are in Coalinga which is centered between two major markets of San Francisco and Los Angeles and has been awarded permits for nursery, cultivation, extraction, and distribution. The Company has acquired over 15 acres of cannabis-zoned development land and has nearly completed the construction of its first facility cannabis-zoned development land and has nearly completed the construction of its first facility. Next Green Wave is fully funded having raised over CAD $21M, to bring the company into revenue in 2019. To find out more visit us at www.nextgreenwave.com or follow us on Twitter at @nextgreenwave, on Instagram, and LinkedIn. Intrexon, Botticelli, Powering the Bioindustrial Revolution with Better DNA, and Better DNA are trademarks of Intrexon and/or its affiliates. Other names may be trademarks of their respective owners.